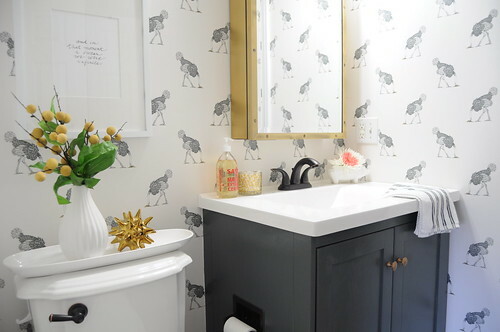 Styled to Profit: Beautify Your Bathroom In Just A Weekend! Beautify Your Bathroom In Just A Weekend! One of the easiest ways to upgrade your bathroom is by adding in an accent wall. As long as the rest of the paint looks smart, adding an accent wall can look fantastic. It’s just a case of being choosy about the colour and style of the design you use. You can paint the wall or wallpaper it; it’s up to you. The great thing about this is because you’re only decorating one wall, it should take you no more than a couple of hours to do. If there’s any big updates to make, such as swapping out an old feature for a new one, get a helping hand. For instance, if you want to swap out your old vanity for a new one, aside from choosing the right vanity, you also need to think about fitting it. If you’re not a DIY expert and don’t want to spend hours focusing on one thing, it’s a good idea to get a little help. Call in a contractor, to help you fit your vanity, to keep the time it takes as low as possible. It’s amazing how much of a different adding a couple of new pieces of art to a room can make. If you want to refresh the space, adding new, stylish pieces of wall art can have a big difference to the look and feel of the space. Just make sure to select pieces that fit with the tone and style of the room. You could also consider swapping your old bathroom mirror for a new and more stylish one - there are so many beautiful designs to choose from. The great thing about bathroom fixtures is that often, they’re super easy to update. To give the room a fresh look and feel, all you need to do is swap your shower curtain, change the fittings on your taps and shower, select a new bath mat. These are all easy changes that can make a big difference to the look and feel of your bathroom, so are worth a try. There you have it, all the easiest ways to beautify your bathroom in just a weekend. Happy decorating!